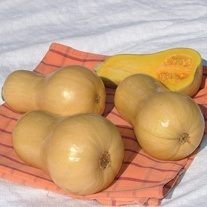 Pumpkin and Squash Seed delivered direct by D.T.Brown seeds. 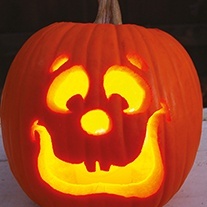 The terms 'pumpkin' and 'squash' are rather loose, but both refer to annual plants which usually have a trailing habit. 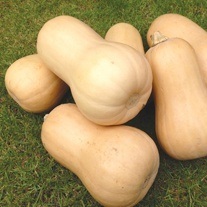 They are divided into 'summer' and 'autumn/winter' types, depending on when they are harvested. 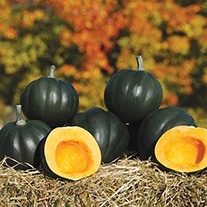 Generally speaking, summer squashes are harvested and eaten, usually fried or boiled, while still young, whereas winter squashes and pumpkins tend to be baked or stored cool and dry for future use. 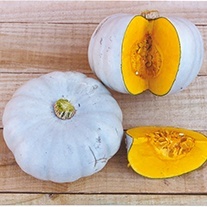 Winter squashes are normally white-fleshed, while pumpkins have orange flesh. Having said all that, there are no hard and fast rules! 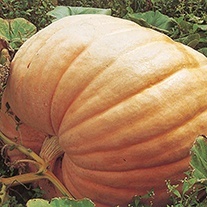 The name 'pumpkin' probably came from the Greek 'pepon', which translates as 'large melon'. 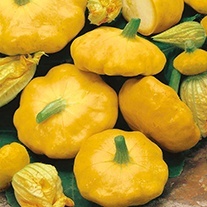 In French it became 'pompon', transforming again into English as 'pumpion'. Shakespeare referred to it thus in The ''Merry Wives of Windsor''. 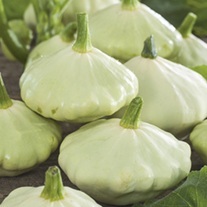 Sow seeds individually on edge in small pots of moist seed compost 2cm/1in deep. Place in warmth 15-18°C/60-65°F. 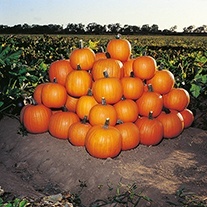 Grow on under cool, light conditions, but not in bright sun. Gradually accustom young plants to conditions outside for 2-3 weeks before planting out to their cropping positions when danger of frost has passed. Allow about 1m/40in between plants. 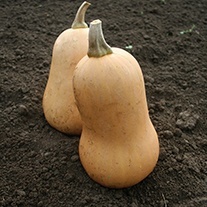 Alternatively, sow direct in their cropping positions. Water sowing positions well, then sow two or three seeds close together in a group 2cm/1in deep. Allow 1m/40in between groups. 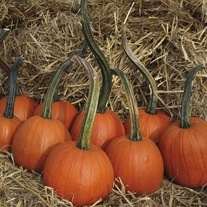 After germination, leave only the strongest seedling in each group, but you may wish to plant the other seedlings elsewhere. 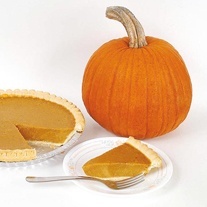 Pumpkins and squashes are thirsty and hungry plants. Water freely and frequently, especially during dry spells. 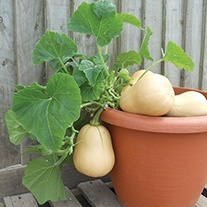 Once fruits start to swell, feed plants regularly with a liquid fertiliser. 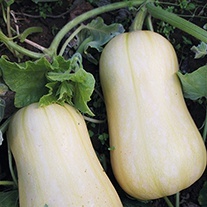 Pumpkins and squashes do best in an open, sunny site, and on really fertile, moisture-retentive soil. 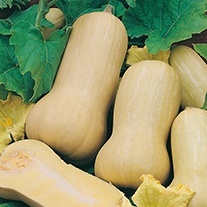 They are frost-tender and in colder areas it is advisable to sow seed indoors in warmth rather than direct in the soil.